HomeLove Problem SolutionWhich hindu God to pray for love marriage? Majority of the people are not even aware but also Lord Shiva is worshiped as the Hindu Gods for fetching love. 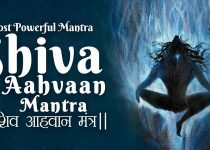 So women from the ancient days fast on Mondays so as to impress Lord Shiva and get a husband who is loving and caring both just like Shiv ji. Along with that Goddess Parvati is seen as the Hindu God for deep love and true devotion. So if an individual is looking for success in love and love life so as to spend the rest of their life happily with the rejoice moments with their loved ones these Gods can be worshiped too. There is a saga which states that the young and good looking Kamadeva has been created from the mind of Brahma Dev. The other names of Kama and Manmadhan. The name Kama also means deep love, desire, wish, longing etc. and Deva means divine or heavenly. The Atharva Veda narrates as desire but not pleasure. On the other hand Kamadeva is compared with the Eros of the Greeks and Cupid of the western residents. Whereas the Kamadeva is presumed to be half human, half god (demi God) of the celestial bodies accountable for persuading lusty desires or wishes. 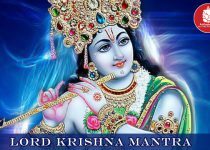 The good looking and romantic Lord Krishna is venerated as one of those Gods which could be worshiped for love marriages. The elders say that for couples who seek eternity in their love and relationship should more frequently pray to Lord Krishna so as to sweeten their life and bring in the love in life just like Lord Krishna and Radha did. Rati is contemplated as the Hindu love Goddess, carnal desire and human pleasure with respect to the physical pleasure. Rati is narrated as the daughter of PrajapatiDaksha. While on the other hand the elder people say that she is the subordinate of Lord Kamadeva. So worshippingRati helps in ease for love-marriage and married life success and happiness. A large number of women could be seen as worshipping statue of Lord Shiva as the calm and cool minded God is known for his loving nature in countless cultures to get much alike husband like Lord Shiva. Also the Shivaratri festival is celebrated by women via practicing various rituals and intense fasting, and worshipped with deep devotion of getting love marriage success. Chandra is the ancient name given to moon in the vedic period. People worship Chandra Dev for marriage success. This is done with a view to get a gorgeous loving partner. Chandra Dev is the Hindu God worshipped for success in love marriages due to the purity of the Lord Chandra. The above mentioned are the Gods that are worshipped to get the love of the life as well as success in love marriage. Astrologer Shardanand shastri ji has many years of experience to handle problems related to love.